This summer has been a terrible one for the firework makers of southern Italy. In a few months there have been explosions in three factories – two of them lethal. You might think it’s a brutal cost for such fleeting wonder, but here, on the edge of the Bay of Naples, life is never steady or predictable, and the instability and flamboyance of the firework suits it well. Fireworks are part of life. They are embedded in the language: extravagant, explosive emojis; graffiti on the night sky; protest through the streets; statements in the stands. Their job is mark the moment and to remind the world of each ‘me’, the church of each ‘saint’, and the regions of each festival and ‘sagra’. They jump right out of this port city … and who can resist? 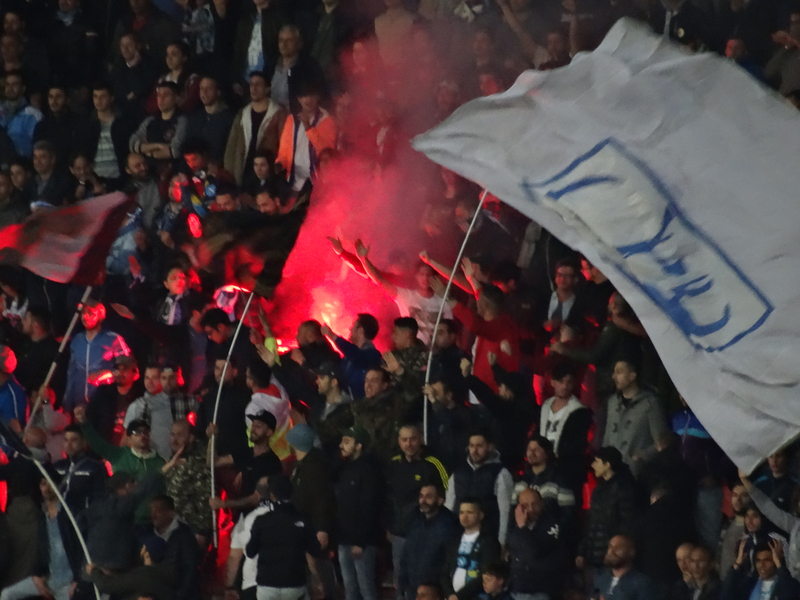 Here in Naples the two nations with the most respected pyrotechnical pedigrees – China and Italy – meet to trade and to compete. China, credited with the invention of fireworks in around 200 BC, can claim the ‘first’ prize even if it only began with the pop of bamboo sticks on fire. Their real glory came later, over the next eight hundred years, when they created the explosive powder-mix of sulphur, saltpetre and charcoal. The idea reached Europe towards the end of the thirteenth century. The powerful were quick to realise just how lethally impressive the powder was and set their experts to study it and tweak it. In the end, as far as fireworks were concerned, it was the Renaissance Italians who turned displays into works of art and then, in the 1830s, more recent Italians invented the really fun part – the metallic dazzle to go in the aerial shells. That’s about where we are today. The Italians and the Chinese still lead the world out on the boundaries of the bang, and Naples – striking; hectic; volcanic; emotional; keen for a good time; and rule-flexible – is the perfect personality match for pyrotechnics of all kinds. Our first experience of a New Year’s Eve in Naples was last year. 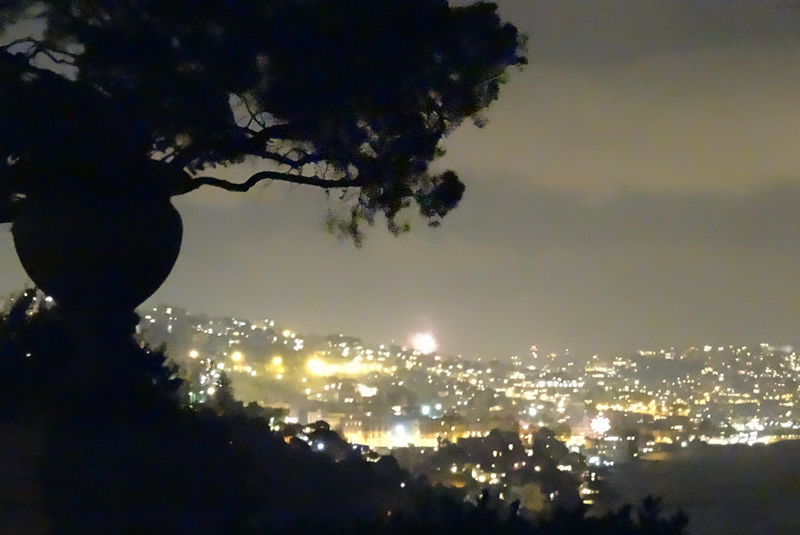 It was a freezing night high on the ridge in Posillipo but the view over the bay as it greeted 2015 was deafening and unforgettable. The photograph below was taken just before 3am when the fireworks still exploded. The downside of this fiery union though is the accidents, and not just the personal. This summer the explosions at the fireworks factories around Naples, as well as just across the Apennines in Bari, have shaken the area. The first blast was on May 13 in Giugliano at Pirotecnica dei fratelli Schiattarella. Two people were killed instantly and four others seriously injured including three members of the Schiattarella family, two of whom died later in hospital. The second explosion, which took no life, was in the same area on the evening of July 18 at a fireworks factory belonging to the Liccardo family. The third explosion, the most recent and most deadly, was eight days ago on July 24 in Bari at the Bruscella factory, well-known for its musical displays. At this factory nine people were killed including a member of the Bruscella family who co-owned the business. His uncle, also a co-owner, and his brother-in-law were injured. The tragedy is immense, especially in the south where families are the heart of everything. Yet, despite the sadness, history suggests that here the firework, with all its risk, its style and drama, will still continue to be the preferred salute to life. Please watch this tribute to the Bruscella family by Pyromight. It is only two and a half minutes and it is beautiful. This entry was posted in fireworks, Italy, Naples and tagged Bari, Bruscella, Campania, fireworks, Giugliano, Liccardo, Naples, Pyromight, Schiatarella, Vesuvius. Bookmark the permalink. A look back (first published on 1 August 2015): the heat last summer in Campania was severe, and with it came terrible accidents in the region’s fireworks factories. Hi Lyn – so right. I think we all need to stay in touch with that child, to mark the human moments that matter. Georgie I’m only replying to say ‘hi’! Hope all’s well with you. I’ve spent most of summer in Portugal supervising renovation of house and am only back in UK another ten days or so before heading back again with no return date pencilled in – the idea being we stay till the build is finished. Hmmm, we’ll see! Hope I haven’t missed you being back in the UK. Let us know, even if I’m 1500 miles away!